Herbalife will at all times comply with the Protection of Personal Information Act 4 of 2013 (POPI Act) and other South African laws applicable from time to time in respect of the processing of your personal information. When you contact me, visit my website, register or place an order, I may collect your name, gender, contact details, credit card number, payment data and other information that you voluntarily provide, including during registration, as well as purchase orders and history. Herbalife International of America, Inc. may collect information about your use of this website, including demographic and geographic information, by collecting information about your computer, including where available your IP address, operating system and browser type, for system administration and to collate and report aggregated information. This is statistical data about our users' browsing actions and patterns, and does not strictly identify any individual. Herbalife International of America, Inc. may also share such statistical data with me. I may collect and use your information to fulfil your orders, provide services, for billing and shipping purposes, to respond to your queries, and to allow you to participate in interactive features of the website. Only if I have your consent will I collect and use your information to invite you by email to events, provide you with news and information about Herbalife’s products and promotions, and send you newsletters and other promotional communications. Herbalife International of America, Inc. may collect and use information about your use to improve the functioning of the GoHerbalife.com websites and platform and to analyze trends and statistics. Some of the third parties with whom I share information about you are located outside of South Africa and the European Union (EU) in countries, including the US, that do not provide the same level of protection as is/will be provided for under the POPI Act in South Africa. However, appropriate safeguards and sufficient technical security and organizational measures have been taken to protect your information against accidental or unlawful destruction or accidental loss, alteration, unauthorized disclosure or access. Herbalife International of America, Inc. complies with the U.S.-EU Safe Harbour Framework as set forth by the U.S. Department of Commerce regarding the collection, use, and retention of personal information from European Union member countries and the POPI Act. To the extent that the information is shared with other business partners, including service providers, outside the EU, the data will be transferred in accordance with EU law and the POPI Act. If you no longer want to receive promotional communications and marketing messages, you can unsubscribe or change your marketing communication preferences at any time by following the unsubscribe link and/or instructions in the marketing messages you receive or by contacting me. You acknowledge and understand that if you suspect any interference with the protection of data, you may submit a complaint to the office of the Information Regulator as defined in the POPI Act, once it has been established. 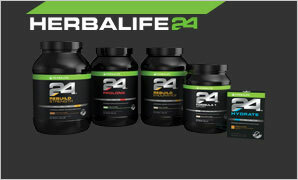 Herbalife International of America, Inc., use, and may allow third parties to use, cookies and other tracking technology (for example, web beacons)on my website in order to provide tailored advertising and to analyze trends, administer the site, track users’ movements and gather broad demographic and geographic information. Cookies are small text files that are placed on your computer by websites that you visit. They are widely used in order to make websites work, or work more efficiently, as well as to provide information to the owners of the site. You can accept or decline cookies by modifying your browser settings (see at: www.allaboutcookies.org). However, if you disable cookies, you may not be able to use all the features of this website. By accessing and using my website, you consent to the storage of cookies on your devices and the access to such cookies or technology by me and by the third parties mentioned above. (1) Session Cookies, which are temporary cookies that remain in the cookie file of your browser until you leave the Site. Session Cookies are used To allow you to carry information across pages of the Site and avoid having to re-enter information and to allow you to access any stored information. • To help us recognise you as a unique visitor (using a number, you cannot be identified personally) when you return to my website. • To compile anonymous, aggregated statistics that allow us to understand how users use my website and to help me improve the structure of my website. I cannot identify you personally in this way. Some of my Web pages may contain electronic images known as Web Beacons (sometimes known as clear gifs) that allow me to count users who have visited these pages. Web Beacons collect only limited information which includes a cookie number; time and date of a page view; and a description of the page on which the Web Beacon resides. I may also carry Web Beacons placed by third party advertisers. These Beacons do not carry any personally identifiable information and are only used to track the effectiveness of a particular campaign. • Cookie settings in Safari web and iOS. This website may contain links to third-party sites. I am not responsible for the security or privacy of any information collected by those sites. You should review the privacy policies applicable to the third-party websites to understand how they collect and use your information. 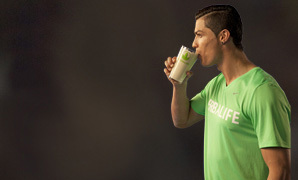 © 2015 Herbalife. All Rights Reserved.